Things are looking up for mortgage delinquency rates across the country, according to a recent report from property information and analytics provider CoreLogic. 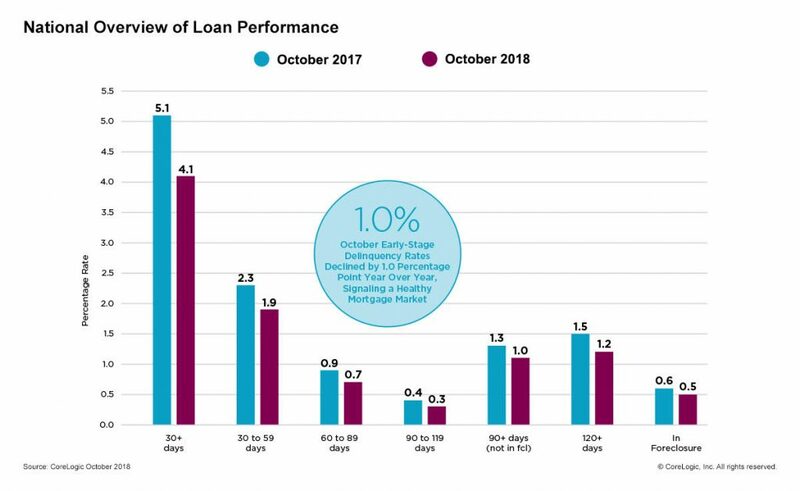 The company's October Loan Performance Insights Report showed that only 4.1 percent of mortgages nationally were in some stage of delinquency, as defined by 30 days or more past due, including those in foreclosure. 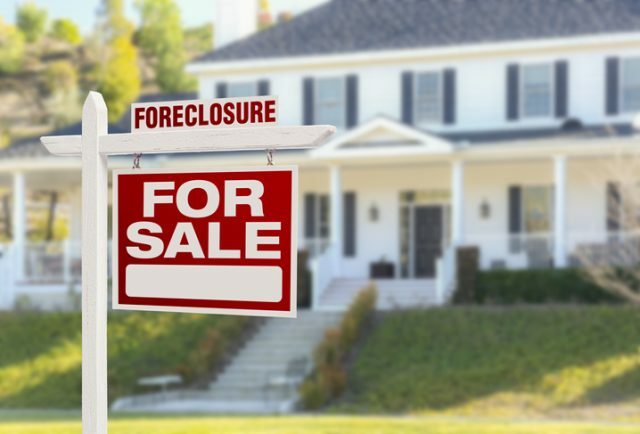 The report also revealed that the foreclosure inventory rate, which measures the share of mortgages in some stage of the foreclosure process, settled at 0.5 percent, down 0.1 percent since October 2017—the lowest for any month since September 2006 and also the lowest rate for an October since 2005. In both instances, the foreclosure inventory rate was 0.5 percent. What's more, these numbers seem to be trending. The October 2018 foreclosure inventory rate tied with the April, May, June, July, August and September rates this year for the lowest for any month since September 2006. Natural disasters made their mark on delinquency rates, according to CoreLogic. "Despite some regional spikes related to hurricane and fire impacted areas, overall delinquency rates are near or at historic lows," says Frank Martell, president and CEO of CoreLogic. Frank Nothaft, chief economist for CoreLogic, echoes Martell's sentiment: "While the strong economy has helped families stay current and push overall delinquency rates lower, areas that were hit hard by natural disasters have seen a rise in loan defaults. The 30-day delinquency rate in the Panama City, Fla., metro area tripled between September and October 2018 as a result of Hurricane Michael." To view the full results and a breakdown of the company's methodology, visit CoreLogic.com. 18 Years are much time for a person who spends his hard work on something.